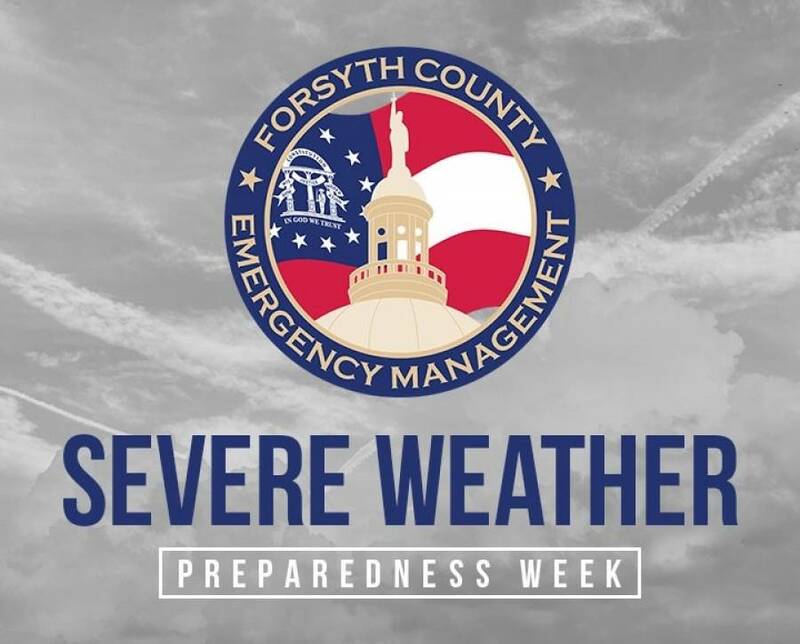 The Forsyth County Emergency Management Agency, in partnership with the Georgia Emergency Management and Homeland Security Agency, is encouraging all residents to participate in Severe Weather Preparedness Week, Feb. 4-8, to prepare for the possibility of a disaster. Each day of the week will focus on a different severe weather threat and how to prepare. Information and tips on how to prepare for severe weather emergencies can be found throughout the week on the county’s Facebook and Twitter pages. On Wednesday, Feb. 6, Forsyth County will take part in a statewide tornado drill as part of Severe Weather Preparedness Week. At 9:10 a.m. the county’s outdoor severe weather sirens will sound. Please note the tornado drill will only be conducted in the event of good weather, so as to avoid any confusion. For a list of siren locations, visit the EMA department web page at forsythco.com. “Severe weather preparedness week is also an optimal time to sign up for emergency alerts,” said Grimes. Residents can elect to receive the time-sensitive notifications via email, telephone call and/or text message. There is no cost to sign up to receive these alerts, but phone usage or text charges may apply. The alerts are sent out for three severe weather situations (severe thunderstorm warnings, flash flood warnings and tornado warnings) as well as for emergency situations such as public safety issues or important water notifications from the Forsyth County Water and Sewer Department. Sign up today at forsythco.com (look for the ‘Emergency & Weather Alerts’ icon on the home page). For questions regarding the emergency and weather alerts, contact the Forsyth County Emergency Management Agency office at (770) 205-5674 or [email protected]. Another valuable tool for residents is the Ready Georgia mobile app. This free app provides mobile access to a variety of emergency preparedness tools. 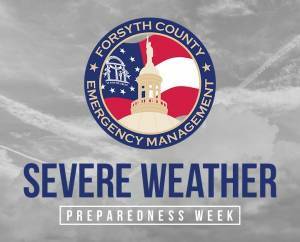 For more information about Severe Weather Preparedness Week and emergency preparedness, contact the EMA at [email protected] or call (770) 205-5674.